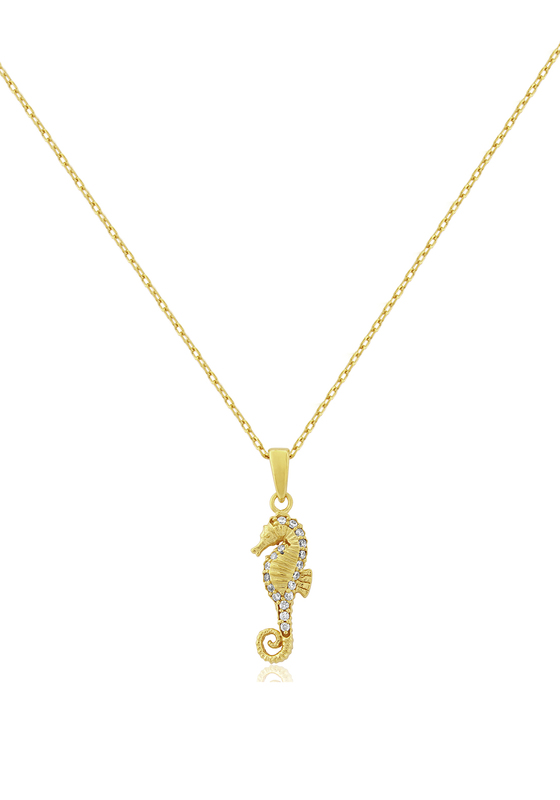 This classic necklace features a cute pave studded seahorse pendant which is the emblem of Waterford Crystal. A lovely finishing touch to finish an outfit for work or play. 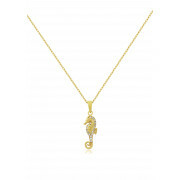 Made from 14 carat gold plated sterling silver.